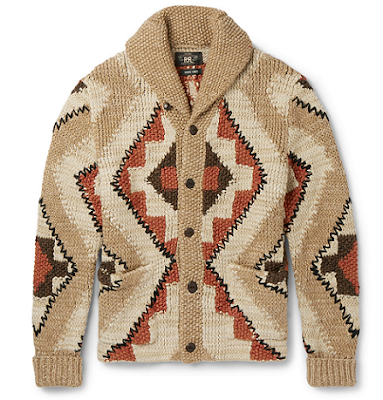 Inspired by vintage Western-style blankets, this shawl-collar cardigan from RRL will revamp your weekend wardrobe. Team with a button-down shirt, jeans and Chelsea boots to create an outfit. Mr Porter, £865.